Island mindset and realities: if you want to go from thinking about moving to Hawaii to actually making a plan, here are 5 basic things to know. 1. Hawaii is not just Oahu. Some people think they know everything there is to know about moving to Hawaii, because they’ve visited or lived in Honolulu, Oahu. This is like saying you know everything about the United States because you’ve been to New York City. 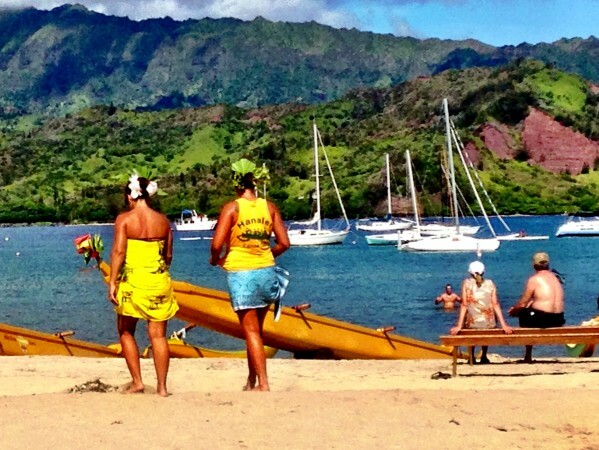 Most online references cover aspects of living in and moving to Hawaii that only pertain to Oahu. Get to know the other islands and decide which one resonates with you best. 2. Daily life in the tropics is different. 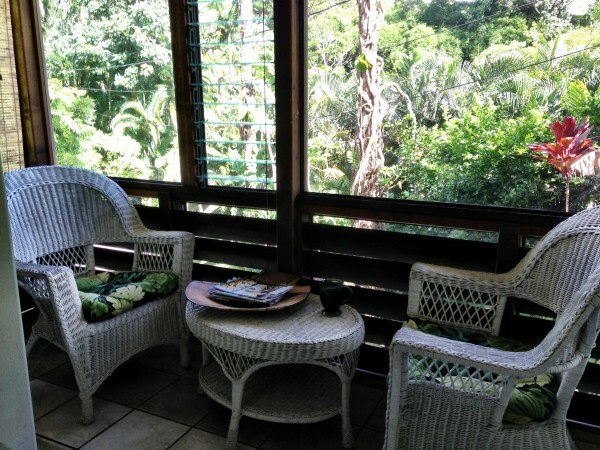 Your housing may be more open to the elements than you’re used to; our Wainiha house, for example, has louvers and screens in most of its window openings. If you’re in a wetter area, you’ll be dealing with mold, rust and mildew, jungle insects and critters, and weather effects on roads, bridges, etc. In drier areas, proximity to the ocean air will still affect your house, car, and belongings. Leather and certain fabrics will deteriorate rapidly. The good news is you can choose your micro-climate (there are 10 climate zones on the Big Island alone). Depending upon the island, the community on the island, and the characteristics of your location on the island – leeward and windward, makai or mauka, your experience will be unique. 3. You’ll be living slower on a little speck in the middle of the ocean. It’s harder to bring stuff or get stuff here. Fedex and Amazon will be your friends. Your slow friends. Things get done in their own time. Contractors, waitstaff and service providers may or may not respond to requests. You will learn not to fight this more relaxed way of living, but to embrace it. Life IS simpler in Hawaii, from not having to wear real shoes, to not needing a big suburban lifestyle. All this contributes to less stress and greater happiness. Conversely, you may yearn for mainland style franchise eating and shopping, going to the movies in a real theater, or attending professional sporting events and concerts. 4. Paradise isn’t perfect. Life in paradise is still life. Bad things happen to good people. Things like crime, rudeness, illness and economic troubles are here. Hawaii is expensive: housing, food, power and gasoline prices are among the highest in the U.S. When the vog (volcanic ash-strewn air) rolls in, your allergies may respond. Flash flooding, tsunamis and hurricanes may test your preparedness. People who think the ocean is for playing (and it is!) may not remember the dangers of strong currents, high surf, and sharks. 5. Bringing stuff may not be your best idea. It’s easy to find a furnished place when you’re moving to Hawaii (ours used to be a vacation rental so it came with linens, towels, and kitchen items). We had our daughter send several large packages of things we deemed essential. Be aware that these oversized packages can take up to a month to arrive by USPS (they’ll wait for available surface space). You may want to rethink shipping your car, too. While many people do, even if they’re coming temporarily, the reality is you can easily purchase a car, either from a dealer or a private party. For more great ideas, check out the Travel Essentials section in PassingThru’s Amazon Store. 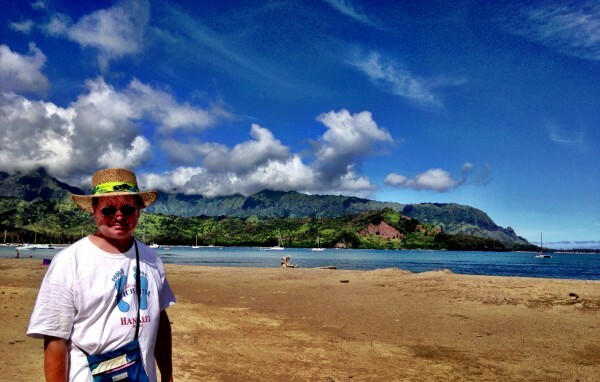 We’ve loved our island lifestyle on the North Shore (leeward and mauka) of Kauai. Our jungle house has been a peaceful haven, and our little town is filled with fun and interesting people, visitors and residents alike. If you’re thinking of moving to Hawaii, don’t give up on your dreams! Put your plan together and make it happen! Thank you for sharing this post! Hawaii is still on my list, it was nice to get some insights. It is funny how you are saying that paradise isn’t perfect. I am (also) a nomad, and people tend to think my life is perfect and some of the paradise-like places I go to are perfect…but nothing is perfect, sometimes that’s the beauty of it, sometimes it’s just life. Aloha, Kat. We have to watch it, yes, because we see the best from the outside looking in. I agree, the beauty is in imperfection. I can’t believe I’ve never been to Hawaii. 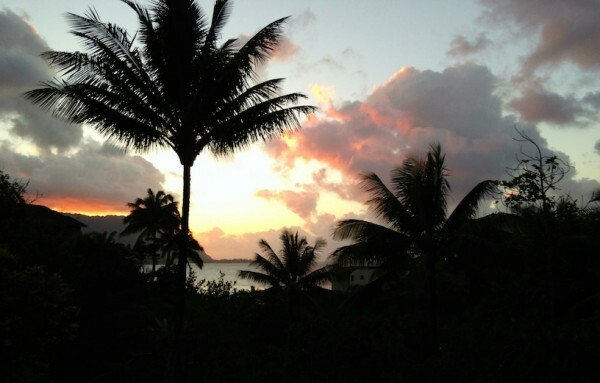 After all it’s got many things I love – palm trees, beaches, authentic culture, nature on steroids! We chose Mexico so do share the Pacific with you. Good for you for making your dreams come true! Great post! My husband is in the military and we just found out we are going to Hawaii ! I have no idea what to expect I am so anxious to go! Hi Shannon – How exciting! You will love Hawaii. Aloha!